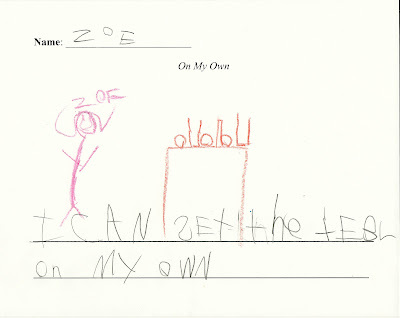 and Zoe came up with "I can set the tebl on my own". The fact that my kid is starting to read and write is just so cool. She's been writing out a lot of things, and it's just so fun to sit down and see what she's thinking about.